China-based innovators applied for a record-setting number of invention patents last year. The country accounted for more than a million submissions, according to an annual report by the World Intellectual Property Organization (Wipo). It said the figure was “extraordinary”. Many of the filings were for new ideas in telecoms, computing, semiconductors and medical tech. Beijing had urged companies to boost the number of such applications. But some experts have questioned whether it signifies that the country is truly more inventive than others, since most of China’s filings were done locally. A patent is the monopoly property right granted by a government to the owner of an invention. This allows the creator and subsequent owners to prevent others from making, using, offering for sale or importing their invention into the country for a limited time. In return they must agree for the patent filing to be publicly disclosed. To qualify as an “invention” patent, the filing must contain a new, useful idea that includes a step – a new process, improvement or concept – which would not be obvious to a skilled person in that field. A total of 2.9 million invention patent applications were filed worldwide in 2015, according to Wipo, marking a 7.8% rise on the previous year. China can lay claim to driving most of that growth. Its domestic patent office – the Property Office of the People’s Republic of China (Sipo) – received a record 1,101,864 filings. These included both filings from residents of China and those from overseas innovators who had sought local protection for their ideas. The tally was more than that of Sipo’s Japanese, South Korean and US equivalents combined. Applicants based in China filed a total of 1,010,406 invention patents – the first time applicants from a single origin had filed more than one million in a single year. But they appeared to be reticent about seeking patent rights abroad. According to Wipo, China-based inventors filed just 42,154 invention patent applications outside their borders – Huawei and ZTE, two smartphone and telecoms equipment-makers, led the way. By comparison US-based inventors sought more than five times that figure. And Japan, Germany and France also outnumbered the Asian giant. One patent expert – who asked not to be named – suggested the disparity between Chinese inventors’ local and international filings reflected the fact that not all the claims would stand up to scrutiny elsewhere. “The detail of what they are applying for means they would be unlikely to have the necessary degree of novelty to be granted a patent worldwide,” he said. But Wipo’s chief economist said things were not so clear cut. “There is clearly a discussion out there as to what is the quality of Chinese patents,” said Carsten Fink. And one should keep in mind that China is a huge economy. Part of the reason so many applications were made locally was that China set itself a target to boost all types of patent filings five years ago. Sipo declared at the time that it wanted to receive two million filings in 2015. The government supported the initiative with various subsidies and other incentives. Adding together China’s invention, utility and design patents, its tally for 2015 was about 2.7 million filings, meaning it surpassed its goal by a wide margin. One London-based patent lawyer noted that Chinese firms were not just filing patents of their own but also buying rights from overseas companies. “This all goes to show the growth of the telecoms and high-tech industries in China, and that these companies are playing a more significant role globally than hitherto,” said Jonathan Radcliffe from Reed Smith. As China sales show signs of cooling, Apple Inc (AAPL.O) is touting India’s appetite for iPhones, betting that rising wages and an expanding middle class will pull consumers away from the cheap alternatives that currently dominate the market. In an earnings call in which the company reported meager iPhone growth and forecast its first revenue drop in 13 years, the Indian market stood out as a rare bright spot for Apple. Sales of the company’s flagship smartphone climbed 76 percent in India from the year-ago quarter, Apple Chief Financial Officer Luca Maestri said. According to data compiled by Counterpoint Technology Research, Apple sold an estimated 800,000 iPhones in India in the fourth-quarter, its highest ever amount but one that is a fraction of the 28 million smartphones sold during that period. Growth in India is a tantalizing prospect as Apple grapples with the economic downturn in China, its second largest market. While revenue in Greater China rose 14 percent in the last quarter, Apple is beginning to see a shift in the economy, particularly in Hong Kong, Maestri told Reuters in an interview. But with nearly 70 percent of smartphones selling for less than $150 in India, Apple’s high-end phones remain out of reach of most consumers. The basic iPhone 6S sells at just under $700 in India, or nearly half the average annual wage. “In many ways India is very similar to what China was a few years ago, but the middle class here is still very small and it can be two to three years before Apple gets a similar level of success in India,” said Counterpoint Technology Research analyst Tarun Pathak. Apple CEO Tim Cook struck a more optimistic note, saying the company was “increasingly putting more energy” into India, citing a largely youthful population with rising disposable income as more people join the workforce. With faster 4G coverage expanding, Apple has already asked Indian government for a license to set up its own retail stores just as the market seems to be turning in its favor. As in China, Apple products are a coveted status symbol in India, a market that analysts say is likely to overtake the United States next year to become the world’s second largest smartphone market. “The love for the iPhone is there,” said Carolina Milanesi, chief of research and head of U.S. business at Kantar Worldpanel ComTech, a consumer research firm. Xiaomi Corp., which announced Monday that its some of its phones are now being assembled at a factory in India, isn’t the only Chinese smartphone maker with its eye on the subcontinent. With the Chinese economy slowing and demand for smartphones picking up in India, Chinese handset makers including Lenovo Group Ltd.0992.HK +1.70%, Huawei Technologies Co. and Gionee Communication Equipment Co. are looking to produce and sell more phones in the world’s second-most-populous nation. But Indian consumers prefer cheaper phones than their Chinese counterparts. Roughly half of smartphones sold in India for the three months ended in June cost less than $100. In China, these low-end smartphones accounted for about 20% of the market over the same period, according to research company International Data Corp. IDC predicts the average selling price of Indian smartphones will fall to $102 in 2018 from $135 in 2014. The $100 Galaxy J1 and other inexpensive handsets drove sales for Indian smartphone market-leader Samsung Electronics Co.005930.SE 0.00%, helping to increase its share of sales to 23% of the smartphones sold during the quarter ended June 30. In other markets, including China, sales are driven by its flagship Galaxy S6 and Galaxy S6 Edge, which sell for around $600 and $700, respectively, in the U.S.
Smartphone penetration is growing rapidly. 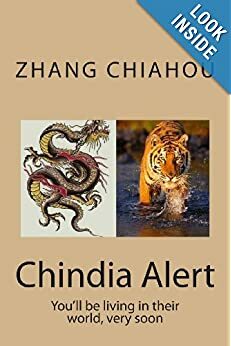 While Internet penetration levels in India resemble China’s numbers from six years ago, smartphone penetration is only four years behind, according to a Credit Suisse report. The skyrocketing growth has even caught the attention of Apple Inc.AAPL -5.49%, which recently started offering financing to make its iPhones more accessible to Indians. That might be bad news for smartphone manufacturers who operate on already razor-thin margins, but it’s potentially good news for Indian consumers and the Indian economy. It also helps explain why contract manufacturing giant Foxconn says it intends invest billions of dollars setting up factories in India, and why Xiaomi recently announced its first made-in-India smartphone, the $107 Redmi 2 Prime. Changes to tax rules now make it cheaper to manufacture electronics in India. It also shortens the supply chain, meaning phone-makers can get their products to consumers faster and reduce inventory costs. 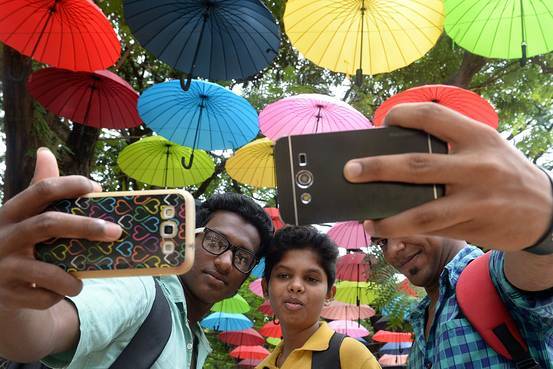 via India’s Smartphone Market Is Booming – Especially at the Low End – India Real Time – WSJ. Move over Western brands, Chinese companies are taking over. China’s 1.34 billion-plus consumers are filling their shopping baskets with Chinese-branded toothpaste, laundry detergent, juice, cookies and more, according to a new study from consultancy Bain & Co.
Local Chinese companies have become more competitive and are leveraging their strength in smaller cities, where growth rates are higher than in top cities like Beijing and Shanghai, according to the study, which looked at the shopping habits of 40,000 consumers. The result is that foreign brands are losing market share in large consumer goods categories–such as personal care, home care and packaged foods– all across China, from its biggest to smallest cities, Bain said. And sales growth, which is dwindling as China’s economy slows, is going primarily to Chinese companies, such as fabric-softener maker Guangzhou Liby Enterprise and juicer Tian Di No. 1 Beverage, it said. While that’s good news for Chinese brands, it’s nothing to cheer about for global companies, which have been banking on Chinese shoppers to boost their sales. 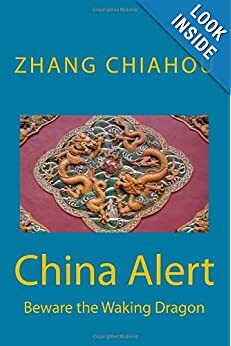 China’s economy is also slowing, meaning that the days of easy money in China are over and tireless boardroom references to “China’s emerging middle class” as the saving grace may soon be put to rest. Some companies, like Best Buy Co. and Home Depot Inc., have either exited or are rethinking their goals in China. Best Buy Co. sold all its remaining stores in China last year, citing online competition. But there’s still growth for many foreign brands. Foreign makers of beer, chewing gum and hair conditioner are still gaining traction and market share from Chinese companies, according to Bain. Below are charts from Bain & Co and Kantar Worldpanel showing how Chinese companies are standing up against foreign rivals at retail and in consumer products. 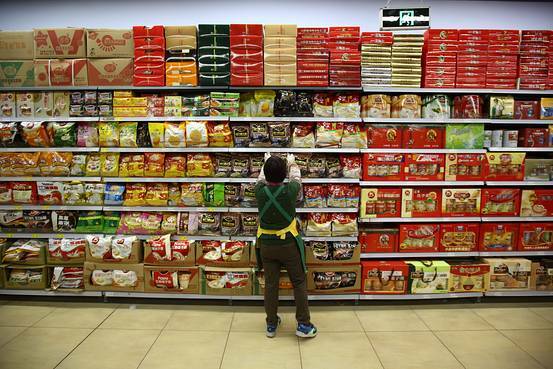 via Foreign Brands Losing Luster in China – China Real Time Report – WSJ. Microwave ovens that cook tandoori bread, smartphones that understand Tamil and washing machines designed to deal with humid, dusty cities: all part of Samsung Electronics’ push to conquer India and offset a global slump. The consumer electronics giant is betting big on Asia’s third-largest economy, at a time when overall sales have struggled against rivals like Apple. In January, Samsung reported its first annual group profit drop since 2011, and in February its first wage freeze for employees in Korea in six years. One source familiar with Samsung said the group, one of the biggest players in the Indian consumer electronics market, would invest up to $1 billion in manufacturing units and in research and development, adapting products to local taste and needs. While Samsung does not give a figure for its investments or revenue targets from India, senior officials say it plans to invest heavily in manufacturing and research. It already uses a 10,000-strong development team to tailor everything from fridges to air conditioning units for Indian consumers. “While Prime Minister Narendra Modi is talking about ‘Make in India’, we are saying ‘Make for India’,” said Ranjivjit Singh, chief marketing officer for Samsung in India. Singh said Samsung was also considering adding a new manufacturing unit. It already has three research centres and two factories. “A lot of states have been approaching us for a new factory, but it is premature to talk about investments,” he told Reuters. via Tandoori microwaves help Samsung woo India, counter global dip | Reuters. Is this the beginning of the end for off-shoring manufacturing? “Taiwan‘s Foxconn Technology Group, the world’s largest contract electronics manufacturer, will cut its massive workforce, the company told Reuters, as the Apple Inc (AAPL.O) supplier faces declining revenue growth and rising wages in China. Under its flagship unit Hon Hai Precision Industry Co Ltd (2317.TW), the group currently employs about 1.3 million people during peak production times, making it one of the largest private employers in the world. Special assistant to the chairman and group spokesman Louis Woo did not specify a timeframe or target for the reduction, but noted that labor costs had more than doubled since 2010, when the company faced intense media scrutiny following a spate of worker suicides. “We’ve basically stabilized (our workforce) in the last three years,” Woo said. When asked if the company plans to reduce overall headcount, he responded “yes”. Revenue growth at the conglomerate tumbled to 1.3 percent in 2013 and only partially recovered to 6.5 percent last year after a long string of double-digit increases from 2003 to 2012. That decade saw the firm ride an explosion of popularity in PCs, smartphones and tablets, largely driven by its main client Apple, but now it is feeling the effects of falling growth and prices in the gadget markets it supplies, a trend that is expected to continue. Growth in smartphone sales will halve this year from 26 percent in 2014, according to researcher IDC, while PC sales will contract by 3 percent. Similarly, the average smartphone will sell for 19 percent less in 2018 than last year’s $297. Automation will be key to keeping labor costs under control in the long-term, Woo said, as the company pushes to have robotic arms complete mundane tasks currently done by workers. via Exclusive: Apple supplier Foxconn to shrink workforce as sales growth stalls | Reuters. Consumers in India bought 44 million smartphones last year, close to 200 percent more than they did the year before. Four-year-old Xiaomi, which sells the most popular smartphones in China, has made 2014’s splashiest entrance into India’s phone market. Other companies have also sought to gain market share, especially in the peak holiday shopping season leading up to the nationwide Diwali festival on Oct. 23. Huawei (002502:CH) began selling its Honor Holly smartphone on Flipkart for $115 on Oct. 16. Motorola, which Lenovo (992:HK) has agreed to buy from Google, had 5 percent of the market in the second quarter, up from almost nothing a year ago, thanks to sales of its Moto G ($164 on Flipkart). Models from Chinese phone makers Gionee and Oppo start at $86 and $130, respectively. via Samsung’s China Smartphone Problems Come to India – Businessweek. Samsung Electronics Co.005930.SE -0.08% was dethroned as the top cellphone seller in India last quarter as local rival, Micromax Informatics Ltd., undercut and outsold the Korean company for the first time in Asia’s third-largest economy. Micromax which was launched only five years ago, has taken the pole position in the Indian market—the second largest in the world in terms of handset sales—by undercutting the prices of Samsung and other international brands. In the April-through-June quarter Micromax’s market share reached 17% of the Indian market compared to Samsung’s 14%, according to Counterpoint Technology Market Research, a research and consulting company based in Hong Kong. Samsung, the world’s largest cellphone company by sales, is facing tough competition from Micromax and other Indian handset sellers. The South Korean company lost its top spot in terms of handset volumes as it has shifted its focus to smartphones and away from the less-expensive feature phones, said Neil Shah an analyst at Counterpoint. 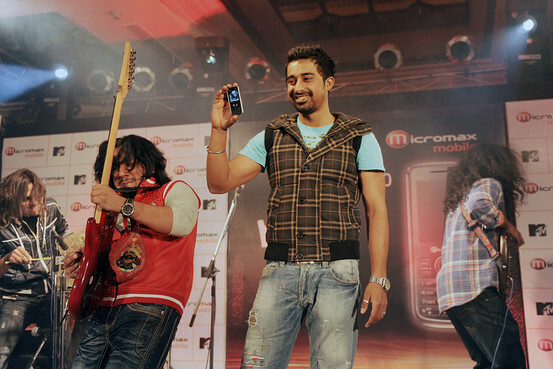 Micromax has been more successful than most at targeting the Indian consumer. In the past five years it has come out of nowhere by investing heavily in advertising, distribution and developing a portfolio of relatively inexpensive handsets for Indians. Samsung may be trying to claw back some of its market share. The company, last week, added three more smartphones to its “affordable” category of handsets priced below 10,000 rupees. via Samsung Loses Top Spot to Micromax in India – India Real Time – WSJ. So what is about Micromax..? Samsung Electronics Co.’s latest sustainability report, published Monday, is a rare look inside the operations of the company. Among the takeaways: Samsung is still struggling with poor labor conditions at its Chinese suppliers. A third-party audit of 100 of Samsung’s suppliers in China last year showed that 59 failed to provide sufficient safety equipment, like earplugs and protective goggles, or did not monitor workers to ensure they were using such equipment, according to the report. The report lists a series of other problems found by the audit, including issues related to wages and benefits and emergency preparedness. The audit also found that a majority of the suppliers do not comply with China’s legally permitted overtime hours. Samsung said it has demanded its suppliers address all the violations found by the report. The results follow a vow made by Samsung in 2012 that it would address unfair labor practices at its Chinese suppliers, including overwork and denial of basic labor rights. On multiple occasions, the company has been accused by New York-based non-profit organization China Labor Watch of malpractice at some factories that do work for Samsung. “If any suppliers are found to have not made progress, Samsung will constantly call for corrective actions to ensure the issue is resolved in the shortest time possible,” it said. Maintaining a safe and fair working environment for its staff and those of its suppliers around the globe has been a growing challenge for the world’s largest maker of smartphones, TVs and memory-chips. The company has come under scrutiny over related issues not only in China but also in Brazil and at home in South Korea. 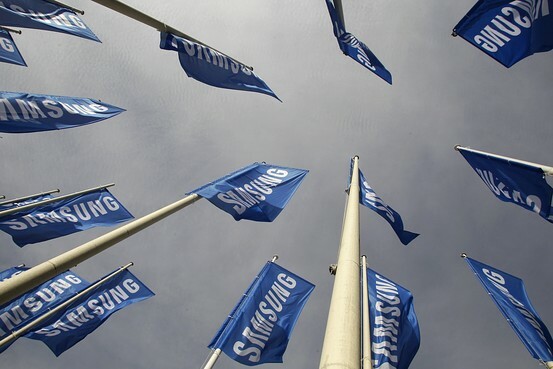 via Samsung’s China Labor Problems Persist – China Real Time Report – WSJ. When India’s top court Wednesday ordered Samsung Electronics Co.005930.SE +1.34%’s chairman to appear in person to face criminal charges, it was par for the legal course here. 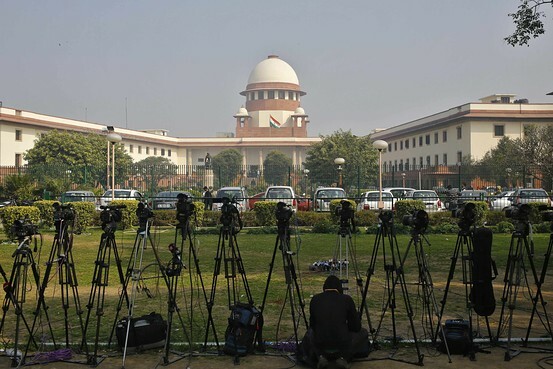 Judges and other authorities in India have been cracking down on international firms in recent years, making some executives wary of investing in Asia’s third-largest economy. Many of the best-known global names that have made the biggest bets on India are facing massive tax claims and other actions. *Samsung Electronics Co.– India’s Supreme Court ordered Samsung Chairman Lee Kun-hee to come to India within six weeks to face criminal charges in the city of Ghaziabad or risk arrest. The order was in connection to a four-year-old case in which an Indian supplier claims a Samsung subsidiary failed to pay bills totaling more than $1 million. Samsung said its chairman has nothing to do with the case in which it claims Samsung is the victim of fraud. *Vodafone Group PLC–The British telecommunications giant has been struggling for years to avoid paying a $2 billion-plus tax bill connected to its 2007 purchase of a 67% stake in the Indian operations of Hutchison Whampoa Ltd.0013.HK +0.48% Vodafone fought the government in court and won In 2012. Soon after, however, New Delhi retroactively changed its laws to allow it to tax the transaction. Vodafone maintains that it does not owe the money and says it is in discussions with the government. *Nokia Corp.—Indian tax authorities say the Finnish phone company claimed a wrongful exemption on exports and owes billions of dollars in allegedly unpaid taxes. NokiaNOK1V.HE +1.19% denies it owes the tax bill, but the Supreme Court of India said the company has to pay the taxes before its Indian assets can be transferred to Microsoft Corp.MSFT +1.04% as part of its $7.5 billion acquisition of Nokia’s businesses. *Google Inc.–Internet giant GoogleGOOG +1.80% is being investigated for allegedly anti-competitive policies related to its advertising and search businesses. Last month, India’s antitrust body imposed a 10 million rupee penalty on the Internet search leader, to punish it for failing to cooperate with its probe. Google said last week that it is compliant with Indian law and cooperating with the investigation. International Business Machines Corp.IBM +1.03%—India last year asked IBM to pay hundreds of millions of dollars in back taxes left over from alleged underreported income. IBM said it is challenging the tax bill. via India’s Greatest Hits: A List of Foreign Firms Grappling With the Government – India Real Time – WSJ.